After spending most of her youth living off and on with relatives, Mikayla Bridgewater was homeless at age 15 — just days before her sophomore year of high school was to begin. Her alcoholic mother was incapable of caring for her, so she spent her childhood being shuttled between relatives. The living arrangements were often contentious, and by the time Bridgewater was about to become a high school sophomore, she found herself with no place to go. A former babysitter opened her home to Bridgewater as the school year began, but Bridgewater faced the challenge of affording tuition at her private college-prep school, Cristo Rey Kansas City High School. With a mission of serving students with economic need, Cristo Rey is one of the most affordable private schools in Kansas City. But as Bridgewater entered 10th grade, she had a roof over her head but no financial support. Bridgewater told high school counselors about her situation. They put her in touch with donors who agreed to cover her tuition and transportation costs until she could find work and cover those expenses herself. That November, Bridgewater turned 16, found part-time work in a fast-food restaurant, began paying her own way and even reconciled with her aunt and moved back in with her. The interventions — by a former babysitter, school counselors and donors — combined with Bridgewater’s determination, paid off. She kept working and studied hard, knowing that good grades would be key to her future success. Last spring, Bridgewater graduated as valedictorian of her high school class. Now, thanks to support from the Dell Scholars Program and the Horatio Alger Association, she is studying environmental engineering and chemical engineering at Missouri S&T. In the mid-1800s, American author Horatio Alger wrote popular rags-to-riches novels about children born in hardship who went on to become successful in life through their hard work. Today, the Horatio Alger Association awards scholarships each year to a select group of high school seniors who succeed despite their misfortunes. Bridgewater is one of this year’s Horatio Alger Scholars. Bridgewater certainly fits that description. 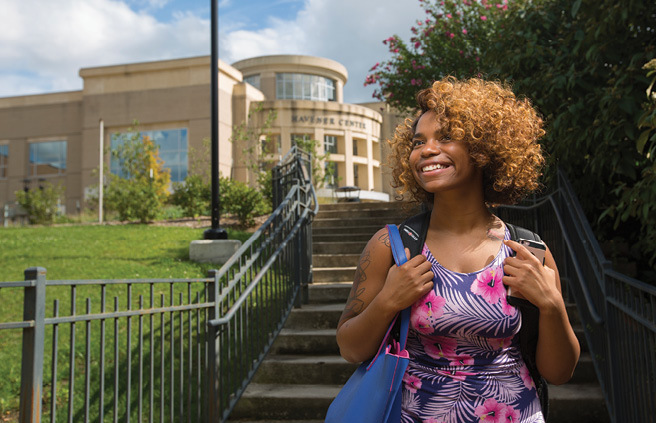 When she finishes college and begins her career, Bridgewater plans to establish a scholarship for students from disadvantaged backgrounds, like hers. “I want to create a scholarship for kids in need,” she says. She already has two potential scholars in mind: two children of her cousins, now ages 3 and 1. “I want to be able to help them have the same opportunity that I’ve been given,” she says.